Want an exciting new air conditioning option? Try a ductless mini split AC system. We provide expert installation and repair services in The Woodlands. Call us today at 281-704-3696 for fast, reliable solutions. Keeping cool is always important in Texas, so don’t hesitate to give us a call today. Save money with our online coupons and specials when you click here. In Texas, air conditioning is more of a necessity than a luxury. If you hope to make it through the summer comfortably, and in some cases safely, then a quality AC is needed to keep the temperatures at a reasonable level. There are several ways to keep your home cool, and one that has been growing in popularity is called a ductless mini split AC system. We are proud of our online reviews. Click here to find out what your neighbors in The Woodlands, TX have been saying about our services. If you’re sick of losing the valuable chilled air through leaks in your air ducts, or feel that your indoor air quality isn’t as good as you’d like when the AC is running, you may want to try a ductless mini split AC system. As the name suggests, you won’t be using the standard ductwork with a ductless system. This means you won’t have to worry about the dust, dirt and mold that can form inside the ducts. When traditional ductwork is in play, the energy loss can be up to 30 percent, making ductless AC an enticing option. Perhaps the main benefit of a ductless mini split AC system is the fact that you can cool individual rooms, unlike a standard forced air system. Insulated lines within the system deliver the cooled air, and you have ultimate control over which rooms are cooled. Selective cooling means lower energy bills. Using a ductless mini split AC system is straightforward, but that doesn’t mean you should try the DIY approach for repairs or installation. Professional service providers have seen it all before and they have the troubleshooting experience to handle any type of problem. They are also well-versed in the local building codes, so you won’t have to worry about having an illegal system installed. If there is a warranty involved with your ductless system, it may be voided if you start doing work on your own. In every instance, professional service is the most cost-effective option. 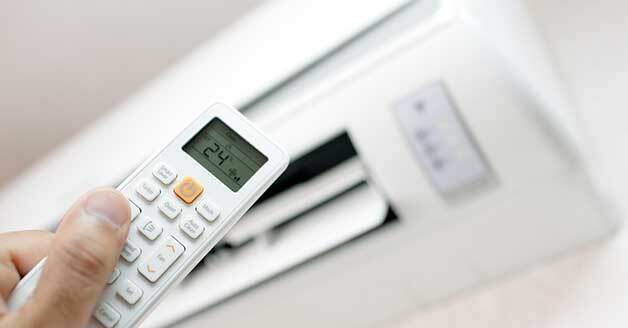 Your home in The Woodlands, TX needs adequate cooling all year long. Call Affordable American Air Conditioning & Heating at 281-704-3696 to schedule an appointment. We will help you find you a solution that makes sense.